Happenings: A Pittsburgh Nashville Exchange, Treading Art, 06.2014. 15 Cities for Creative 20-Somethings That Aren't New York or Los Angeles, Mic.com, 05.27.2014. Sweetness and Light, Short List: November 14 – 20, Pittsburgh City Paper, 11.14.2012. UnSmoke Art Space, Temporary Art Review, 10.27.2012. Wood-Fired Words, Short List: October 3 – 9, Pittsburgh City Paper, 10.3.2012. Wood-Fired Words, Pop Filter, Pop City Media, 10.2012. The Spacebuster comes to Braddock, experiment in public space and art, Pop City Media, 9.12.2012. Activating Space: New Works, Short List: September 12-18, Pittsburgh City Paper, 9.12.2012. Carnival at UnSmoke Artspace, NakYouOut, 8.10.2012. Carnival, Short List: August 8 – 14, Pittsburgh City Paper, 8.8.2012. Carnival, Pop Filter, Pop City Media, 8.2012. (Voice of rational being) installation photo essay, Ruth E. Hendricks photography, 5.11.2012. (Voice of rational being), Short List: May 9 – 16, Pittsburgh City Paper, 5.9.2012. A Day in the Life: John Fetterman, (including a segment filmed during the SHUTTERCLANK opening at UnSmoke), 5.7.2012. Between Day Jobs & Hangovers, Pop Filter, Pop City Media, 5.2012. Students build artistic rendition of Palestinian Wall, The Pitt News, 3.28.2012. SNAPSHOT: A One Week Show opens Saturday, March 24th at UnSmoke Systems Artspace, I Heart PGH, 3.2012. The social side of reuse will fuel Give-and-Take Clothing Social, Pop City Media, 10.5.2011. Wood-Fired Words inspires, The Tartan, 10.3.2011. Writer Josh Barkan at Wood-Fired Words, Pittsburgh City Paper, 9.28.2011. Wood-Fired Words, Pop Filter, Pop City Media, 9.2011. Gist of new Braddock writing residency to come clear in September, Pop City Media, 8.31.2011. The Lost Pittsburgh School at UnSmoke Systems Artspace, Bill Peduto, 8.8.2011. The Next Page / 'The Lost Pittsburgh School': a project by Stewart O’Nan, Pittsburgh Post-Gazette, 7.31.2011. Substrates – ONE Night Only Gallery Show @ UNSMOKE Art Space 7/30/11, Strawberry Luna, 7.28.2011. Interview with Stephanie Armbruster, Steeltown Anthem, 11.7.2010. UnSmoke: Cultivating the Arts in a Decaying Rust Belt Town, GOOD, 8.24.2010. Braddock Portraits: Episode 4 - UnSmoke Artspace, Levi's, 8.3.2010. Unsmoke Artspace brings the woods to town, Pittsburgh City Paper, 8.19.2010. There is "Gold in Braddock", Examiner, 5.6.2010. Artist strikes 'Gold in Braddock', Pittsburgh Post-Gazette, 3.12.2010. Gold in Braddock, Pop Filter, Pop City Media, 3.2010. Pittsburgh's Artistic Renaissance, More Intelligent Life, 10.2009. Night Out: Braddock (UnSmoke turns 1), Pop Filter, Pop City Media, 9.2009. Braddock Illuminated: UnSmoke Systems Artspace opens national light exhibition, Pop City Media, 4.2009. Firelei Baez at Unsmoke Art Space, Pittsburgh City Paper, 3.27.2009. Artists' space in Braddock inspiring, Pittsburgh Tribune-Review, 1.8.2009. Carnegie International takes a field trip to Braddock with films, exhibit, Pittsburgh Post-Gazette, 7.17.2008. 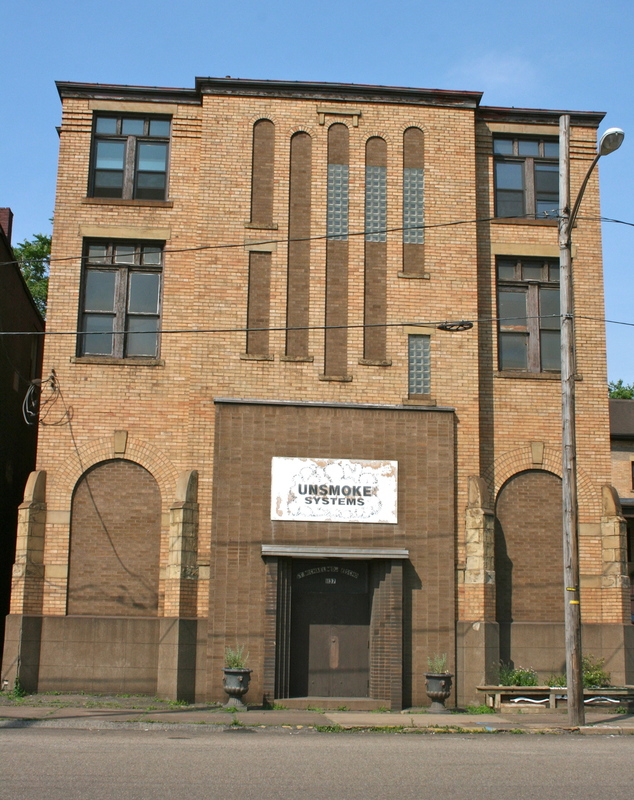 New arts and cultural venue set to open in Braddock, launch inaugural exhibition, Pop City Media, 7.16.2008.